Richard Porter represents municipalities and business enterprises in environmental law and litigation, and in general commercial and insurance defense litigation. Mr. Porter's environmental practice includes experience with CERCLA, NEPA, RCRA, Clean Air Act, Clean Water Acts, Phase I and II reports, TACO program, Brownfields programs, NPDES permitting, environmental impact studies, Superfund litigation, underground storage tanks, toxic tort actions, indoor air quality, asbestos abatement and solid waste management. Mr. Porter has represented businesses, municipal entities and individuals in personal and enforcement actions, and responds to and defends against violation notices from the EPA, the IEPA, and the Office of State Fire Marshall. Mr. Porter has appeared in state, federal and appellate courts and in hearings before the Illinois Pollution Control Board on environmental issues. He is particularly experienced in handling disputes, applications, hearings, litigation and appeals involving proposed land uses, including wind turbines, landfills, transfer stations, river ports, airports, heliports, quarries, pipelines and ethanol plants. Representing businesses and municipalities in commercial litigation, Mr. Porter has been lead counsel on bench, jury, appellate, and administrative actions arising out of contracts, warranties, negligence, fiduciary duties, business torts, unfair competition, Uniform Deceptive Trade Practices Act, misappropriation, defamation, securities fraud, fraud-in-the-inducement, non-competition clauses, real estate actions, contractual litigation, insurance coverage, eminent domain actions, trademark and trade dress infringement, workers' compensation and unemployment compensation. He has also handled litigation involving premises liability, products liability, automobile liability, insurance coverage, breach of contract and professional malpractice cases. Reflecting his regulatory practice, Mr. Porter is experienced at helping clients comply with and defend actions involving OSHA, environmental and zoning regulations. In addition to jury and bench trials, Mr. Porter handles appeals and administrative actions. His appellate practice includes drafting briefs and presenting oral argument in several Illinois District Courts and the Illinois Supreme Court. He has also taken and defended hundreds of depositions of parties, witnesses and experts. Mr. Porter’s alternative dispute resolution experience includes arbitrations, mediations and negotiations, and he is an arbitrator for the Seventeenth Judicial Circuit in Illinois. 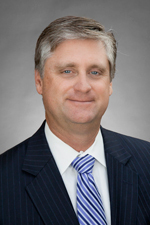 Mr. Porter joined Hinshaw & Culbertson LLP in June 1992. "Environmental Compliance for Healthcare Entities: Is Your Environmental Management System in Shape?" Hinshaw's Health Care Webinar Series, May 2013. “Current Issues in Wind Turbine Development—Don’t Get Blown Away,” Lorman Education Services, live audiocast, June 2011. “Environmental Law Compliance for Health Care Facilities,” Illinois Health Care Association Convention, Springfield, Illinois, September 2006. “Environmental Consultant Liability Under the New All Appropriate Inquiry (AAI) Rule," Environmental Data Resources, Inc.'s seminar series, "Due Diligence at Dawn," St. Louis, Missouri, November 2005; Minneapolis, Minnesota, March 2006; and again in Chicago, Illinois, April 2006. "Environmental Issues in Land Development," Lorman Education Services seminar, "Zoning and Land Use in Illinois," Rockford, Illinois, September 2005. "Environmental Law Update,” Hinshaw’s 2005 Breakfast Seminar Series, Rockford, Illinois, April 2005. “Environmental Compliance in the Context of ERM," Enterprise Risk Management Handbook for Healthcare Entities (Third Edition), American Health Lawyers Association, 2017. “Environmental Compliance in the Context of ERM," Enterprise Risk Management Handbook for Healthcare Entities (Second Edition), American Health Lawyers Association, 2013. “Environmental Compliance in the Context of ERM," Enterprise Risk Management Handbook for Healthcare Entities (First Edition), American Health Lawyers Association, 2009. “Comment, Environmental Law: Application of the Responsible Corporate Officer Doctrine to the Resource Conservation and Recovery Act,” 16 S.I.U.L.J. 687 (1991). “Case Note: Extraterritorial Application of Title VII in Bourselan v. Aramco,” 15 S.I.U.L.J. 645 (1991). New Illinois Act Establishes Comprehensive Regulatory Regime Governing "Fracking"